This article was last updated Aug 05, 2015, but some terms and conditions may have changed or are no longer available. For the most accurate and up to date information please consult the terms and conditions found on the issuer website. Travel rewards credit cards come in many different shapes and sizes. Figuring out which one is best for you can be tough, especially because they are all so different. I’ve found that the easiest way to decide on the best travel credit cards is to take a step back and group all cards into one of the three overarching categories; Co-branded cards, Travel Statement Credit cards, and Transferable Points cards. 1. Co-branded cards: These are cards that are affiliated with one particular airline or hotel loyalty program. These cards have been around for ages and many of them offer a good value in redemption, but their pitfall is that you can only redeem the miles/points you earn in one way — flights with that airline or free nights at that hotel. Should I use a Co-branded Travel Rewards Card? A co-branded credit card might be best for you if you are already a loyal customer with a particular airline or hotel. For example, if you routinely fly the same routes for business trips or to visit family, then the credit card affiliated with that particular airline could earn you lots of rewards. Furthermore, most co-branded cards come with various perks in addition to the ability to earn rewards. These can include things like airport lounge access, a free checked bag, or late checkout for your hotel stays. If you find the perks associated with a credit card particularly valuable, it may be a good one to apply for! 2. Travel Statement Credit cards: These cards work very similar to cash back credit cards. The points/miles you earn usually have a value of 1 point = 1 cent and can be redeemed as statement credits to cover travel expenses. These types of cards are growing in popularity because of their simplicity and flexibility; many cardholders who are fed up with blackout dates and devaluation of airline miles and hotel points are switching to travel statement credit cards. Should I use a Travel Statement Credit Rewards Card? If you are looking for the absolute easiest to understand travel rewards program, a travel statement credit card might be the way to go. These cards are designed for simplicity and flexibility and can take the headache out of rewards travel. Because of the flexibility, these credit cards are especially useful if you’re traveling on a budget. The miles and points you accrue can usually be redeemed for miscellaneous travel expresses like baggage fees, train tickets, and even Uber! Since the rewards aren’t affiliated with one particular airline or hotel, you can shop for the best deal and then use your points or miles to make your travel purchases completely free. 3. Transferable Point cards: These types of credit cards offer a blend of both the types of cards mentioned above. These cards have points that can be transferred to various airline or hotel travel partners, giving you a lot of flexibility in how you redeem and the chance to get a much better value from your points. Should I use a Transferable Points Rewards Card? For those looking to truly glean the highest value out of their travel rewards credit card, transferable points can’t be beat. Redeeming points with these cards is slightly more complicated than than with a Travel Statement Credit card, but the big benefit is that you can almost always get more bang for your buck. These credit cards will also offer much more flexibility than any Co-branded credit card, but they’re not quite as flexible as Travel Statement Credit cards. Southwest Rapid Rewards® Premier Credit Card: If you’re looking for great deals on domestic flights, then Southwest Rapid Rewards is an excellent program to pledge your loyalty to. With incredible point redemptions like two round trip tickets for 26,000 points, this credit card is a great way to build up points for free flights. It also comes with some fantastic perks like Bags Fly Free®, no blackout dates, and the fact that your points will never expire. Citi® Hilton HHonors™ Reserve Card: As one of the largest hotel chains in the world, Hilton also has a solid loyalty program and multiple credit cards for consumers to rake in points with. This credit card has one of the best sign up bonuses available by offering 2 free nights at any Hilton property after cardholders spend $2,500 in purchases in the first 4 months of account opening. *This offer and/or promotion has since changed, expired, or is no longer available. 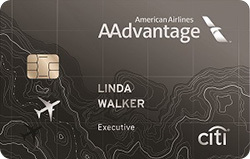 Citi® / AAdvantage® Executive World Elite™ Mastercard®: Citi® / AAdvantage® Executive World Elite™ Mastercard®:As mentioned before, one big upside to Co-branded credit cards is the perks that come along with them. While this card comes with an expensive $450 annual fee, it also has some incredible perks for people who frequently fly on the world’s largest airline. To start, there’s a sign up bonus of Earn 50,000 American Airlines AAdvantage® bonus miles after spending $5,000 in purchases within the first 3 months of account opening* and 10,000 Elite Qualifying Miles after spending $40,000 on the card each year. This card also gives you a free checked bag on American flights and complimentary Admirals Club® membership for you and any authorized users. Capital One® Venture® Rewards Credit Card: This powerful piece of plastic comes with a one-time bonus of 50,000 miles once you spend $3,000 on purchases within 3 months from account opening, equal to $500 in travel. Those miles can be redeemed for purchases with any airline and hotel, or even for common travel expenses like Uber, airline fees, and more. You’ll also receive 2 miles per dollar on every purchase, every day which makes this a great card for consumers who don’t want to worry about only earning extra rewards in rotating bonus categories. There is an annual fee with this card ($0 intro for first year; $95 after that), but it can easily be made up with all of the rewards you earn. 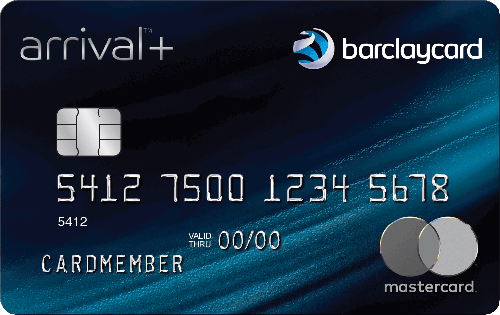 Barclaycard Arrival Plus® World Elite Mastercard®: This card is extremely similar to the Capital One® Venture® Rewards Credit Card, but there are a few differences. New cardholders can enjoy 70,000 bonus miles after spending $5,000 on purchases in the first 90 days. You’ll also earn 2x miles on all purchases. One advantage this card has is that it comes with Chip and PIN technology which can be very useful when traveling in Europe. The downside is that this card has a slightly higher annual fee with $89, waived the first year. Check out this blog post for an in-depth comparison of the Capital One® Venture® Rewards Credit Card and the Barclaycard Arrival Plus® World Elite Mastercard®! 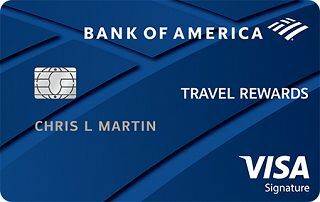 Bank of America® Travel Rewards credit card: Many experts consider this the best travel rewards credit card with no annual fee. Earn 25,000 online bonus points after you make at least $1,000 in purchases in the first 90 days of account opening - that can be a $250 statement credit toward travel purchases, and for ongoing rewards, you earn 1.5 points per $1 spent on all purchases. This card offers the same amount of flexibility as the cards above, but you don’t have to pay a fee to earn rewards. There’s also no foreign transaction fees, and cardholders can enjoy 0% Introductory APR on purchases for 12 billing cycles. 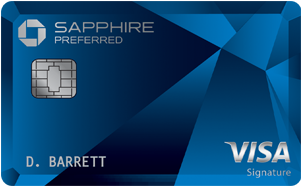 Chase Sapphire Preferred® Card: With this credit card, you can earn 60,000 bonus points after you spend $4,000 on purchases in the first 3 months from account opening. That’s $625 in travel when you redeem through Chase Ultimate Rewards®. For ongoing rewards, you earn 2X points on travel and dining at restaurants & 1 point per dollar spent on all other purchases worldwide. The transfer partners include 6 airlines and 4 hotels. Some of the most valuable partners include, Southwest Rapid Rewards, United MilleagePlus, Hyatt Gold Passport, and Marriott Rewards. If the transfer partners don’t fit your needs, you can also redeem points for 1.25 cents per points by booking travel through Chase’s online portal. There is an annual fee of $95. If you want to boost your points earning even more, sign up for the Chase Freedom® and take advantage of the quarterly bonus cash back categories! 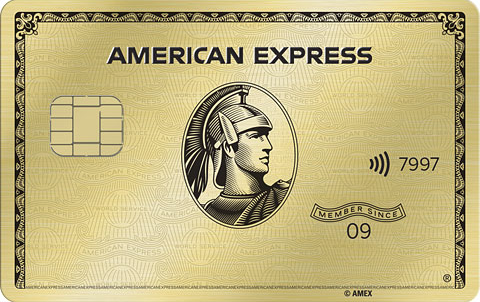 American Express® Gold Card: For travelers who spend a lot on flights, this credit card can help you rake in rewards by earning 3X Membership Rewards® points for flights booked directly with airlines or on amextravel.com and 4X points at U.S. restaurants and U.S. supermarkets (on up to $25,000 per year in purchases, then 1X). New cardholders can receive 35,000 Membership Rewards® Points after you spend $2,000 on eligible purchases with your new Card within the first 3 months. These valuable points can be transferred to your loyalty accounts with six different airlines and two hotel programs. There’s a $250 annual fee. You also receive a $100 Airline credit each year. Starwood Preferred Guest® Credit Card from American Express: This unique credit card straddles the fence between being a Co-branded card and a Transferable Points card. While the rewards you are are directly affiliated with Starwood Hotel’s loyalty program, you also have the option of transferring your points for over 30 airlines with an excellent transfer rate. Most airlines are a 1 to 1 transfer and even come with 5,000 bonus miles when you transfer 20,000 miles. There is a great sign up bonus of 75,000 Bonus Points after you use your new Card to make $3,000 in purchases within the first 3 months. There is a $0 introductory annual fee for the first year, then $95. The information related to the Starwood Preferred Guest® Credit Card from American Express has been collected by CompareCards and has not been reviewed or provided by the issuer of this card prior to publication. This offer and/or promotion may have since changed, expired, or is no longer available. Check out the top mile card bonus offers here. Understanding the difference between these three types of credit cards is crucial in deciding what your next travel rewards credit card should be. Finding the best credit cards will all depend on what you need from a credit card and how you intend to use it. Once you’ve decided on which type of credit card you need, it’s then important to compare the different cards within that category to make sure you find the one that’s right for you. When it comes to travel rewards credit cards, the great thing is that there is no shortage of excellent options to choose from. The tricky part, however, is just finding the right one! *The content in this article is accurate at the publishing date, and may be subject to changes per the card issuer.